Our community organizing work fights the displacement of families through grassroots leadership, social consciousness, and community-driven growth. 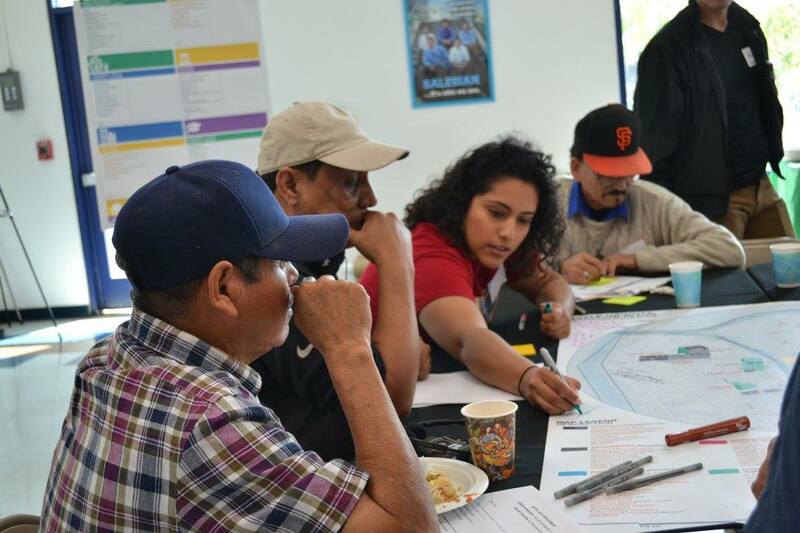 We cultivate leadership development and community empowerment by facilitating civic engagement with low-income residents of Boyle Heights, with the goal of advocating for responsible, and economic development that benefits existing residents. Our Community Organizing training programs and community-driven campaigns aim to educate, build awareness, and fortify the confidence necessary for them to advocate for community needs while increasing unity among neighbors. Boyle Heights is a principally renter-occupied, low-income Latino neighborhood with an aging housing stock. With development pressures coming from Downtown LA, the Eastside needs equitable and accountable development to prevent displacement of long-term and current residents. There is a growing lack of traditional employment opportunities in Boyle Heights and all over the City of Los Angeles, leaving people who are willing and able to work with fewer options. Low-income residents then turn to street vending as a way to earn a living, risking criminalization for simply selling their goods. Chronic unemployment and lack of economic opportunities only increase the need to work in this informal economy, where workers have little protections. 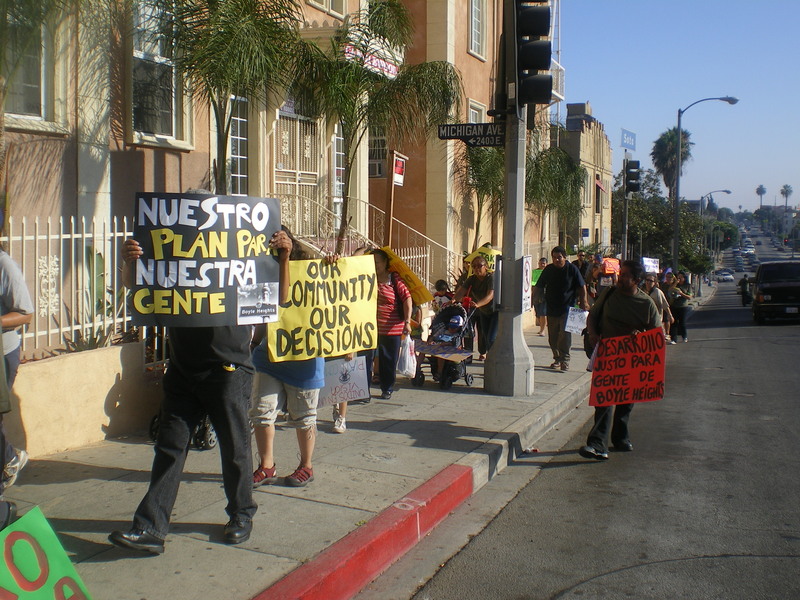 In 2008, ELACC community organizers responded to a call by our resident leaders to support their neighbors vending on the sidewalks of Boyle Heights. Today, we’ve grown beyond those initial one-on-one conversations with a small group of street vendors to hundreds of vendors involved in the policy and strategy development of the LA Street Vendor Campaign. 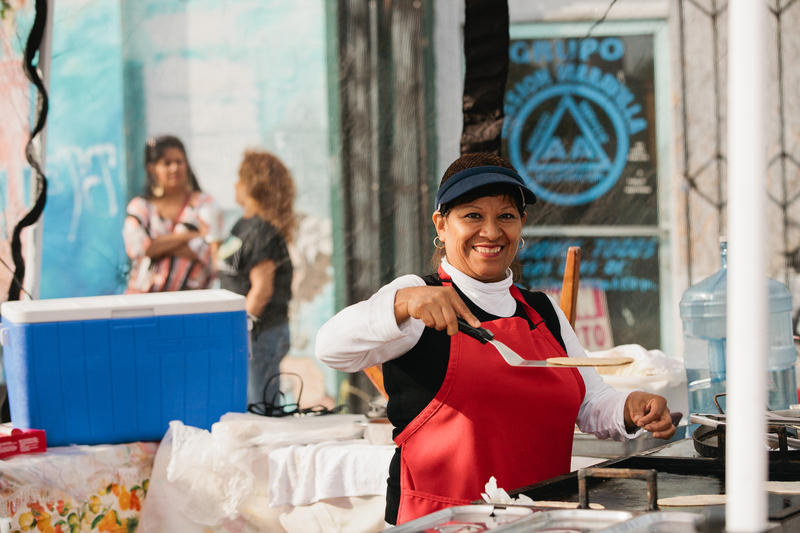 In 2018, after ten years of advocacy, Los Angeles City Council voted to legalize street vending through a permit process. Now, there is much more work to be done by ELACC, street vendor leaders, and our partners, as we continue our community organizing to ensure the City of Los Angeles permit regulations are fair and inclusive. At ELACC we believe in the development of members and their potential as leaders and organizers. Through community organizing, we work with community members to identify and lead neighborhood-based and citywide campaigns. We seek to challenge the power structures of oppression by organizing in a way that centers those historically oppressed to lead our campaigns and uphold our values of land, work, and housing as a human right. 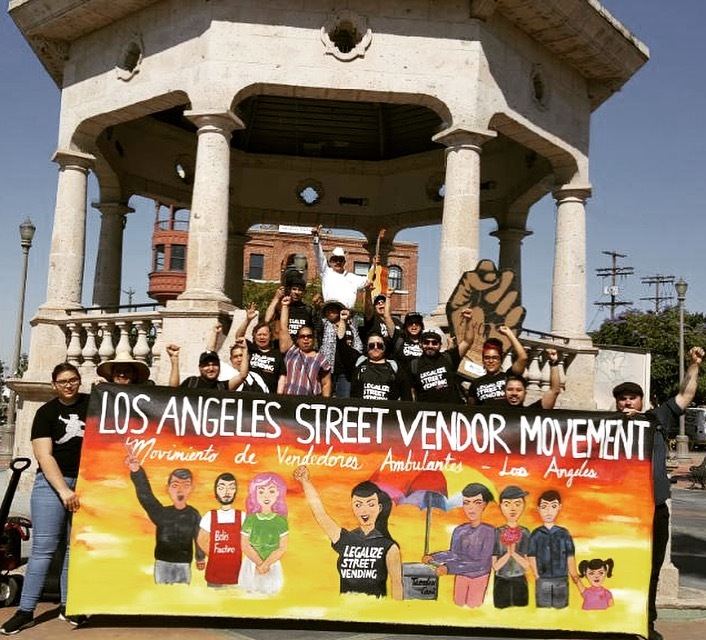 We believe that our members in the Grupo del Derecho a la Tierra (GDT), a land organizing membership, and the Los Angeles Street Vending Campaign (LASVC) represent the leadership we need in our community for radical transformation in our society. Right to the City (RTTC) emerged in 2007 as a unified response to gentrification and a call to halt the displacement of low-income people, people of color, marginalized LGBTQ communities, and youths of color from their historic urban neighborhoods. We are a national alliance of racial, economic and environmental justice organizations. Through shared principles and a common frame and theory of change, RTTC is building a national movement for racial justice, urban justice, human rights, and democracy. ELACC is an original member of the Right to the City Alliance in Los Angeles and currently sits on the national Steering Committee, which directs and advises the Alliance on movement and political strategy for its national campaigns. ELACC’s community organizing membership is actively leading the RTTC Homes for All Campaign locally, to save the Wyvernwood Garden Apartment’s from demolition. Homes For All is a national campaign with the goal of broadening the conversation of the housing crisis beyond foreclosure and putting forth a comprehensive housing agenda that also speaks to issues affecting public housing residents, homeless families, and the growing number of renters in American cities. Homes For All aims to protect, defend, and expand housing that is truly affordable and dignified for low-income and very low-income communities by engaging those most directly impacted by this crisis through local and national organizing, winning strong policies that protect renters and homeowners, and shifting the national debate on housing. RTC is working collaboratively across sectors to develop national housing policy that ensures that our communities and future generations have homes that are truly affordable, stable, and dignified. The campaign has grown to include 25 RTC member groups and a formal partnership with the National Low Income Housing Coalition.